Many patients who have visited the House of Fertility & Healing may remember Enid Guthrie from her time at the Royal Prince Alfred Hospital (RPAH). Some have even wondered where on earth she had disappeared to given that she was no longer running her Sydney yoga and pregnancy meditation classes anymore. Fortunately, we had the great pleasure of catching up with Enid during a trip to France earlier this year, where she relocated in 2015. We had one thing on our mind – record Enid’s beautiful, relaxing voice doing a guided meditation for pregnant women so we could use it in the House of Fertility & Healing clinic. And yes – we just absolutely had to go to France to do this!! For those of you who have never had the pleasure of meeting Enid or attending her fabulous classes, we are so happy to bring her pregnancy meditations to everyone as an easy, digital download. 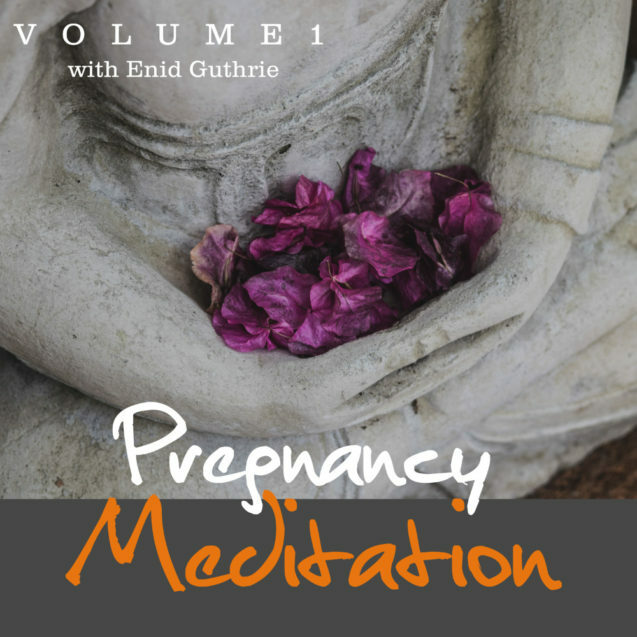 Listen to Enid describe what the pregnancy meditations are all about. Pregnancy Mediation Volume 1 is a response to a situation of restlessness, tension, and anxiety that arises in many women during their pregnancy. After listening to the meditation you will not only feel less anxious but newly energized with a deep experience of relaxation, awareness, and inner silence. The bonus meditations also feature Enid and were specifically created for those times when you feel either tired from a lack of sleep or in need of a pep up as your energy levels wane. Both are a great accompaniment to Pregnancy Meditation Volume 1. As an integral member of the ‘RPAH Parent/Patient Education Team’, Enid was one of the first and most renowned professionals pioneering the introduction and continued provision of meditation and yoga to pregnant women from within the Australian hospital system. During these 23 years, Enid also taught ‘Prenatal Education’ and ‘Birth Empowerment’, as well as expanding on her yoga teaching under the auspice of the eminent obstetrician Dr. Stephen Morris’s practice ‘Sydney Mother and Baby’. Enid’s compassion, her knowledge and especially her meditations have become, and still are, legendary amongst expectant and new mums throughout Sydney.